Here's a quick lunch idea! 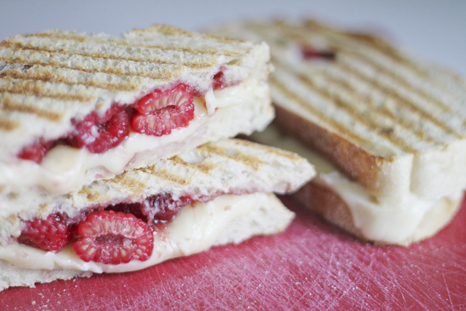 Grab some good quality bread, brie cheese, fresh raspberries and raspberry jam! In that order! Put it in your panini maker for a few minutes. The cheese gets melty and has the perfect creamy texture. The berries are slightly tart. And the jam is sweet. It's an irresistible combo!